As of January 11th, 2019, the Chepe Express schedule and prices have changed. This page has been updated to reflect those changes. Journey through the Copper Canyon by train and experience one of the most scenic train rides in the world. 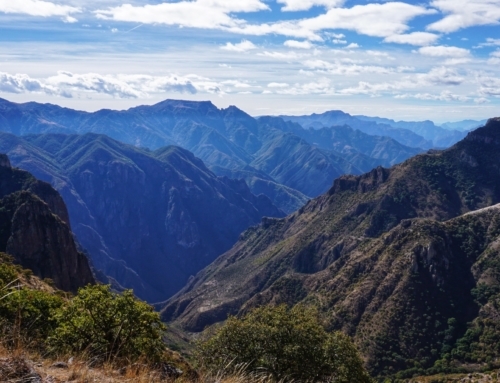 The Copper Canyon is one of Mexico’s lesser-known gems. Situated in the Sierra Madre Occidental mountain range, this canyon system is larger, and in some places deeper, than the Grand Canyon. The majority of the landscape in inaccessible but in the mid-1960s, after nearly 60 years of on and off construction, the painstaking process of laying railway tracks through the canyons was completed. Now, the train known as El Chepe is an important form of transportation for locals and the absolute best way for tourists to explore some of the most stunning views in all of Mexico. As El Chepe chugs along its 653 km (405 mi) of track, a journey which takes anywhere from 9 to 16 hours, it crosses over 37 bridges and through 86 tunnels. It climbs to an elevation of 2400 m (7900 ft) and descends to sea level, passing through diverse and stunning scenery along the way. Among its stops are at least 5 towns worth visiting where you’ll have opportunities for adventure, hiking, learning about new cultures and taking in the magnificent landscapes. The Ferrocarril Chihuahua al Pacífico, better known as El Chepe, is one of the only commuter trains in Mexico but it’s also the best way for tourists to visit the remote and awe-inspiring Copper Canyon. The 653 km (405 mi) of track runs between Chihuahua, Chihuahua and Los Mochis, Sinaloa with 5 notable towns in between. Although the trip can be completed in just one day it is well worth extending the journey to last a few days or even a few weeks. Stopping and spending a few nights in the towns along the way is what makes a visit to the Copper Canyon so special. As of May 2018, a brand new, luxury express train has been added to the daily schedule meaning there are now two ways to visit the Copper Canyon by train. The stops. This is probably the most significant difference between the two trains. The Chepe Regional makes 13 stops between Chihuahua and Los Mochis for both tourists and local commuters. The Chepe Express only runs between Los Mochis and Creel and only stops at 2 tourist destinations in between. The schedule. 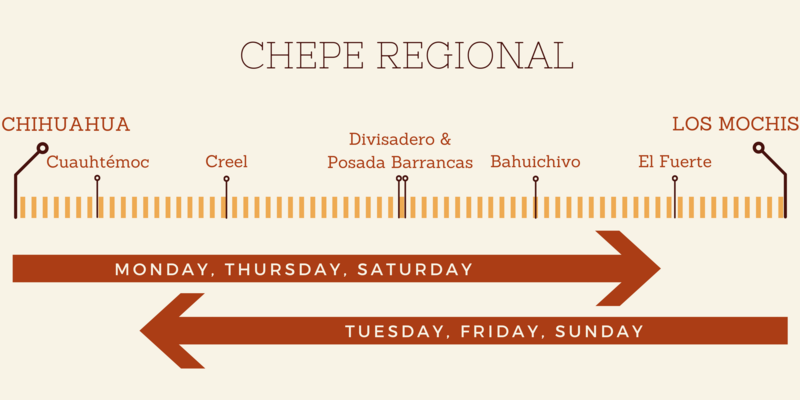 Both the Chepe Regional and Chepe Express run in opposite directions every other day (except Wednesdays). The Chepe Express, as its name implies, completes its route much faster than the Chepe Regional and arrival times, therefore, differ between each train. The schedules can be tricky and are explained in detail and with images below. The price. When the Chepe Express was first rolled out the ticket prices were 3 to 5 times greater than those for the Chepe Regional. However, a recent schedule change has also resulted in significantly cheaper Express prices. It’s still more expensive than the Regional but it’s now much more reasonable. You can find more details about the prices below. The comfort. Although I would not consider the Chepe Regional to be uncomfortable, it is an older train with basic amenities including washrooms and a dining car. The new Chepe Express, however, is a luxury train complete with a bar car, a panoramic viewing car and a restaurant car. Choosing which train to take will very likely be determined by your schedule, itinerary and flexibility. Neither train runs on a daily basis so you’ll want to carefully plan your trip beforehand. The next section will outline the train schedules in detail. This part can be a little confusing so in order to keep things as clear as possible this section is divided into three parts: Chepe Regional train schedule and route, Chepe Express train schedule and route, followed by a combined train schedule for both directions of travel. The Chepe Regional runs in both directions between Chihuahua and Los Mochis and makes all the stops for both locals and tourists. However, it does not run every day. From Chihuahua towards Los Mochis, trains only run on Mondays, Thursdays and Saturdays. From Los Mochis towards Chihuahua, trains only run on Tuesdays, Fridays and Sundays. Below are detailed timetables for each direction for the main tourist stops. In my experience, the trains are almost always a little behind schedule but it’s recommended that you show up at least 20-30 minutes before the train is scheduled to arrive. The information below has been updated to reflect the Chepe Express schedule change as of January 11th, 2019. 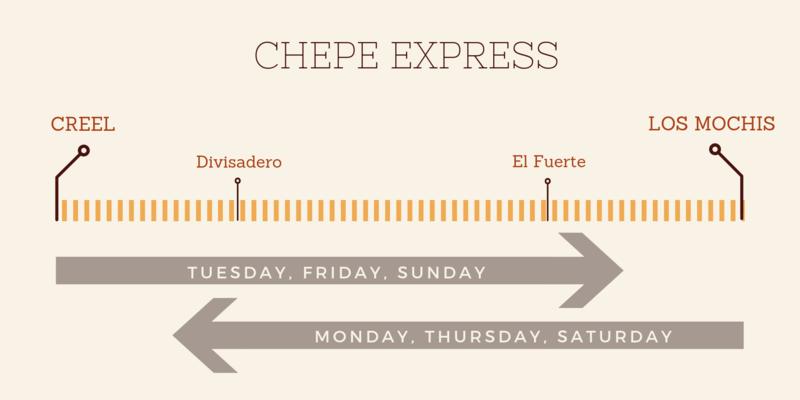 The Chepe Express runs in both directions between Creel and Los Mochis. It does not go all the way to Chihuahua and only makes stops at Creel, Divisadero, El Fuerte and Los Mochis. From Creel to Los Mochis, trains only run on Tuesdays, Fridays and Sundays. In the opposite direction, from Los Mochis to Creel, trains only run on Mondays, Thursdays and Saturdays. This is the reverse schedule of the Chepe Regional. Below is the train schedule for all the Chepe Express stops in both directions. The tables below show the arrival times for all Chepe trains (Regional and Express) at the main tourist destinations over the course of any given week. There is one table for each direction of travel. You may need to scroll left and right to view the entire table. The information above was accurate at the time of writing. Always double check the schedule on the Chepe website before making a purchase. Ticket prices vary between the two trains and between the two classes within each train. The Chepe Regional is split into two classes: Economic and Tourist. The difference is that the Economic class is primarily used for local commuters and tickets cannot be reserved. These tickets are purchased on the train the day of travel. Economic ticket holders do not have access to the dining car. Tourist class ticket holders have access to the dining car but the food is not included in the price. The Chepe Express is also split into two classes: Tourist and Executive. Tourist class tickets provide access to the restaurant car and the bar car but food and drinks are not included in the ticket price. Executive class tickets include access to the restaurant plus a meal, access to the bar car and access to the panoramic viewing car. The image below will give you an idea of the differences between the 4 options and the prices for a one-way ticket across the entire route. Note that the Chepe Express does not go all the way to Chihuahua. *Prices in USD were calculated using an exchange rate of 0.054 MXP per 1.oo USD. The USD prices will vary depending on the exchange rate. Economic tickets are best for those who do not wish to be tied to specific dates. Economic tickets are not recommended during high season (July, August, Christmas and Easter week), as the train is usually quite full. If there is no room you won’t be able to board. Purchasing a Tourist ticket entitles you to deboard at three different stations. For example, purchasing a ticket from Chihuahua to El Fuerte means you can also get off at Creel, Divisadero and Bahuichivo along the way. Because of the train’s schedule, however, you would need to stay in each town for at least 2 nights. Remember, the train only runs on Mondays, Thursdays and Saturdays in that particular direction. You will need to declare which stops you plan to disembark and the exact dates when you purchase your tickets. More information on how to purchase tickets below. If you wish to get off at more than three stops then you’ll be charged for the additional segments at a slightly higher rate. These rates can be found on the Chepe website. You can mix and match Tourist and Economic tickets to save money if you plan to make more than three stops. HOT TIP: Taking a bus between El Fuerte and Los Mochis is only $70 MXP. You can save money and you won’t miss any spectacular views. Below are price tables for the Chepe Regional Economic and Tourist classes. These tables display prices from Chihuahua to the corresponding destinations. For individual segment prices see the Chepe website or send an email to [email protected] asking for the Economic prices. Purchasing a Chepe Express ticket in either class entitles you to deboard at two stops in between your start and end point. For example, if you purchase a ticket from Creel to Los Mochis, you can also get off at Divisadero and El Fuerte along the way. As the train does not return for another two or three days, you’ll need to stay for a minimum of 2 night in each town, or use an alternative mode of transportation. As with the Chepe Regional, you’ll need to declare which stops you plan to disembark and the exact dates when purchasing the tickets. Unlike the Regional, the Chepe Express offers a discount for round-trip tickets if you need to get back to your starting point. Below are the price tables for the Chepe Express Tourist and Executive classes. The tables display the prices from Creel to the corresponding destinations and the prices for a round-trip. For individual segment prices visit the Chepe website. How many days do I need to see the Copper Canyon by train? This, of course, will depend on many factors. How much time do you have? What do you want to see? What activities would you like to do? If you’re on a tight schedule it’s possible to see some great sights in the Copper Canyon in just a couple of days but I’d highly recommend spending at least a week travelling through the Canyons and towns nestled within them. Below is an example itinerary and a great starting point for planning a trip. Click on any destination to learn more about what to see and do in that location. Use this as a starting point for your planning and add or take away destinations to suit your schedule and budget. You can also save time and money by taking a bus between Creel and Divisadero or between El Fuerte and Los Mochis, and you won’t miss any spectacular views. See the Additional Information section below for more details about substituting buses for the train in certain areas. If you’re traveling through Copper Canyon by train Chihuahua will very likely be your start or end point. It’s the largest city along the Chepe route and the easiest to access by international or even domestic flights. There is an interesting history to explore here and you can learn more about it by clicking on the photo or title. One of Mexico’s “Pueblo Mágicos” this little town on the outskirts of the Copper Canyon has a wide and unique assortment of nature to explore and a variety of ways to do it. Whether you prefer to hike, bike, ATV or drive you’ll appreciate a visit to the Valley of the Frogs, relaxing in the beautiful surroundings of the Recohuata Hot Springs or taking a trip to Cusárare Falls. 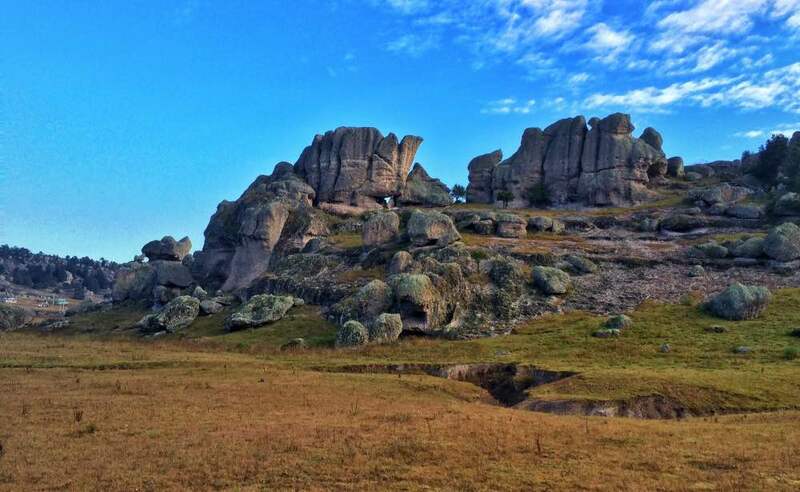 You’ll also have an opportunity to discover the Rarámuri culture first-hand. Click the photo or title to learn more about Creel. These are two different train stops but they are very close together. At Divisadero everyone will have an opportunity to exit the train for 15 minutes to snap some photos at a lookout point. 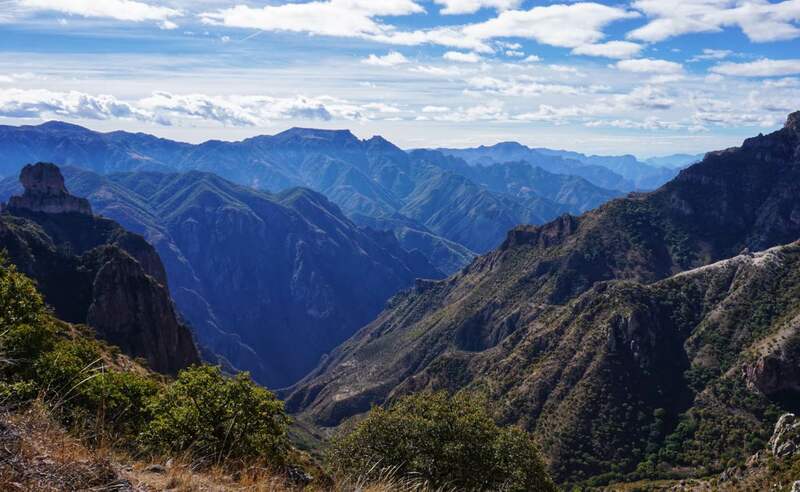 This is the best spot for stunning views of the Copper Canyon ravines. There is one hotel at this stop if you want to spend a night but there are more hotel options at the Posada Barrancas stop. There are a few tourist attractions accessible from either town you choose to stay in. These include a cable car, zip lines (including the fasted and longest in the world), bike rides, ATV, and rock climbing. From the Bahuichivo stop you can travel to either Cerocahui or Urique. 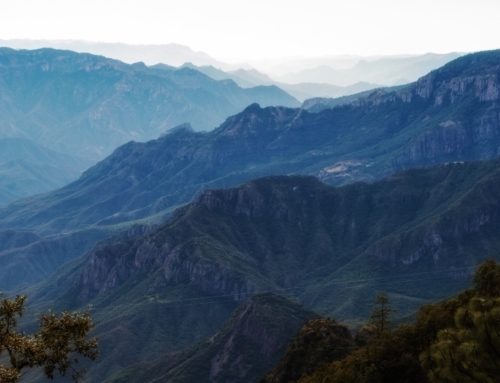 Both towns are deep in the Tarahumara Mountain Range. Cerocahui is a 20 minute car ride from the Bahuichivo stop. Trekking or horsebacking riding to the Cerocahui Waterfalls is a popular activity in this area. You can also book a tour to the Gallego Hill viewpoint for some breathtaking views of the Canyon system. 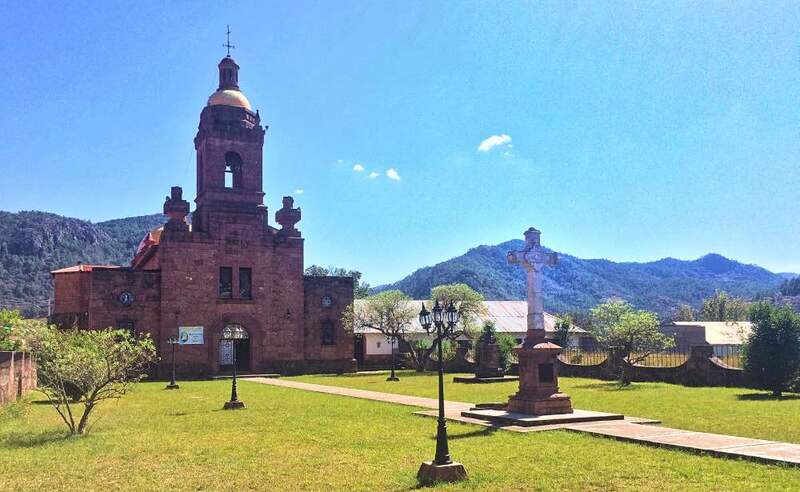 Urique is about a 2 and a half hour ride away from the Bahuichivo stop. The route through the mountains is beautiful but not for the faint of heart! It’s also possible to trek here from Cerocahui. Once there take in your surroundings while cooling off in the river. Another of Mexico’s “Pueblos Mágicos” located in the state of Sinaloa on the banks of the Fuerte River. El Fuerte is known for its fort, for which the city is named after. It’s also known as the birthplace of the legendary Zorro. You can visit both buildings – the fort is now a replica and a museum and Zorro’s childhood home is a hotel. Click the image or title to learn more about El Fuerte. 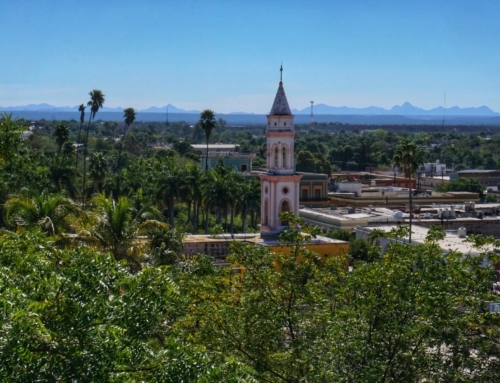 Los Mochis itself isn’t a terribly exciting or picturesque city but it is a handy hub if you are arriving from or want to travel to Baja California, Guadalajara or elsewhere in Mexico. 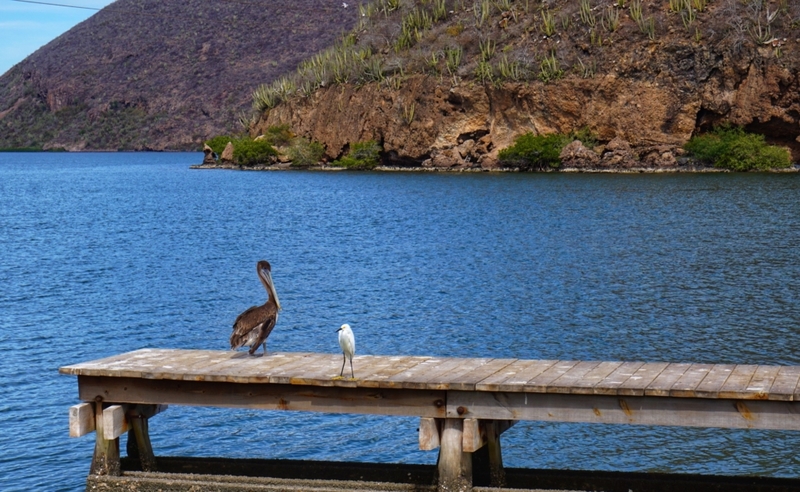 The close-by port of Topolobampo is a much better place to visit and tour around or catch a ferry to La Paz, Baja California Sur. Enjoy the beach, take a dip in the ocean, eat fantastic seafood or book a tour of the Farallón natural reserve. Click the title or image to learn more about Los Mochis and Topolobampo. 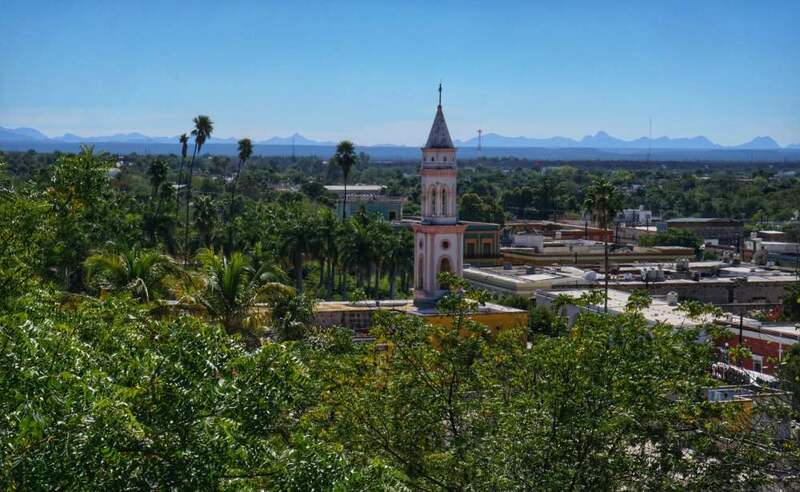 Los Mochis itself isn’t a terribly exciting or picturesque city but it is a handy hub if you are arriving from or want to travel to Baja California, Guadalajara or elsewhere in Mexico. 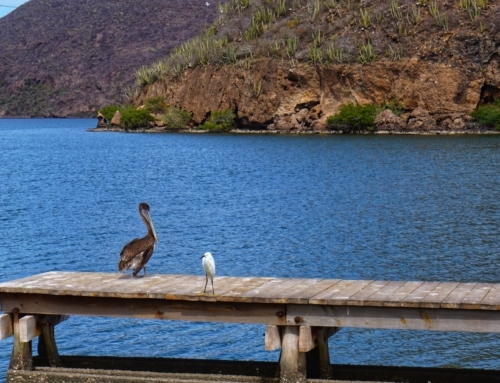 The close-by port of Topolobampo is a much better place to visit and tour around or catch a ferry to La Paz, Baja California Sur. Enjoy the beach, take a dip in the ocean, eat fantastic seafood or book a tour of the Farallón natural reserve. Click the title or the image to learn more about Los Mochis and Topolobampo. Economic tickets can only be purchased one day in advance or on the train. To buy them in advance you’ll need to go directly to the ticket office at either the Chihuahua or Los Mochis stations. There are no ticket sales offices at any of the intermediate stops. Note that your tickets will not have an assigned car or seat; these will be determined upon boarding the train. As these tickets can’t be purchased more than one day in advance, you’ll only be able to purchase one segment of your trip at a time. The next segment can be purchased on the train. To buy your tickets on the train in Chihuahua or Los Mochis, join the queue at the entrance of the station. An attendant will ask you how many people are in your party and assign you a car number and seats. Once the journey begins, authorized personnel will charge you for the tickets (cash only). If you purchased your tickets the day before then just show an attendant at the station and you’ll pass to the front of the line where you’ll be assigned a car and seat number. To buy onward Economic tickets at the intermediate stops you will have to wait for the train to arrive. Once you’ve boarded you can purchase your tickets from an attendant. Just remember the Chepe Regional train doesn’t run every day. Seats are usually available in the Economic class but in high season (July, August, Christmas and Easter week) you may run into difficulties. Economic is primarily for local commuters so if it’s full you won’t be able to board. Chepe Express (Tourist and Executive) and Regional Tourist tickets must be purchased in advance as these tickets are not sold on the train or at any intermediate stops along the Chepe route. You’ll also need to print your tickets. During high season (July, August, Christmas and Easter week) it’s advisable to purchase your tickets at least 3 weeks in advance. You can purchase your Chepe Express or Regional Tourist tickets by phone, email or by going to the station in either Los Mochis or Chihuahua if you’ll be there a few days before you plan to leave. I’ve tried calling to book tickets on multiple occasions and no one has ever answered the phone but in theory you can book tickets by calling 011 52 614 439 7212, or +52 1 614 439 7212. If you’re in Mexico and calling from a local line use 01 (614) 439-7212. If you don’t speak Spanish then email will be the easiest way to book your tickets but the process can take a few days. 2. You’ll receive a confirmation email similar to the document here. It’s important to note that this email does NOT contain your tickets. Double check that the information highlighted in GREEN is correct. This is your itinerary and names of passengers. You may need to show photo ID with matching names upon boarding the train. The date highlighted in YELLOW is your payment deadline. If no payment is received by that date your reservation will be cancelled. 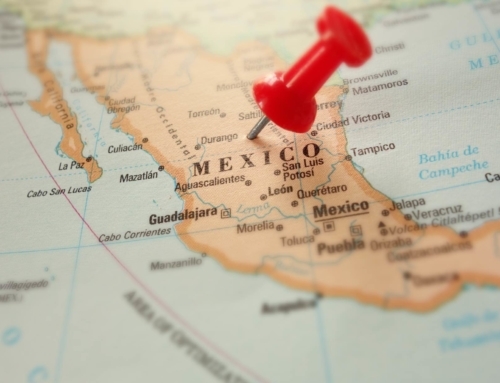 If you are already in Mexico or will be before the payment deadline then you can pay at a Banamex Bank. In this case, you’ll need the information highlighted in BLUE. If you want to pay by credit card (MasterCard or Visa only) you can respond to the email asking for a link to pay online. Su reservación está confirmada con la Clave CHXXXXX , pero su boleto será emitido hasta que realice su pago. A nombre de: Ferrocarril Mexicano S.A. de C.V.
Al momento de abordar se le requerirá a cada uno de los pasajeros su identificación oficial con fotografía. Agradeceremos verifique bien sus datos personales como de viaje ya que cualquier cambio que solicite después de hacer su pago ocasionará un costo extra. 3. Payment by credit card. After requesting a link to pay online you should receive an email with a link (enlace) to start the payment process. 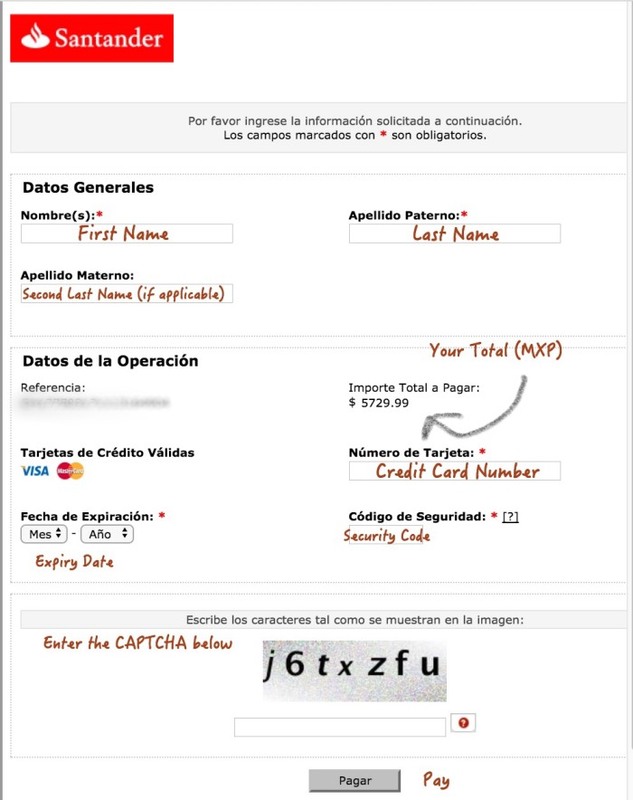 Click the “enlace” and once again, double check that the information is correct. If all looks good you can agree to the terms and conditions by checking the box at the bottom and clicking the button “Confirmo y deseo hacer el pago“. This will bring you to the payment page. You can use the image here as a reference when filling out this form. Once your payment is received you’ll get another email, this time containing your tickets. You’ll need to print these before boarding El Chepe. The best time to visit Copper Canyon by train is September-October just as the rainy season is winding down and the weather is still fairly warm. That said, the Copper Canyon can be enjoyed any time of year but it is worth noting that in April and May most of the rivers have dried up and waterfalls are often just trickling. You can traverse the entire Copper Canyon route by bus if you want but it wouldn’t be terribly comfortable and you’d miss the stunning panoramas seen from El Chepe. Below are a few of the routes that might help save money or time without missing the most incredible views from the train. 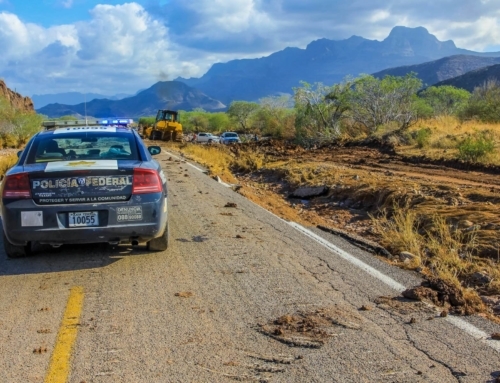 Chihuahua – Creel: The scenery isn’t as beautiful as it is from El Chepe and it won’t be as comfortable or as fast but it will be cheaper and there are more departure times in both directions. You will have two bus options: Rápidos Cuauhtémoc or Autotransportes Turísticos del Noroeste. Creel – Divisadero/Posada Barrancas: This is a short bus ride and you can even do a round-trip thereby staying in Creel rather than Barrancas or Divisadero. Autotransportes Turísticos del Noroeste is your best option with a station in the centre of Creel a few steps from the train station. El Fuerte – Los Mochis: This stretch really isn’t worth doing by train. You won’t miss any scenery and you’ll save time and money travelling by bus. The bus leaves El Fuerte from the Municipal Market on Benito Juarez Avenue. There are no posted schedules but buses leave approximately every 30 minutes. Click here for more details about getting to and from El Fuerte. 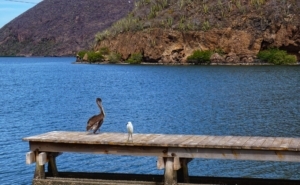 Due to government travel advisories, not all travel insurance policies provide coverage for travel in the Copper Canyon. Make sure you purchase the right policy for your trip. Click here to learn more about travel insurance specifically for the Copper Canyon. Many of the hotels throughout the Copper Canyon do not contain room safes and front desk staff will not assume responsibility for valuable items left with them. For this reason, I always travel with a LOCTOTE bag, which is a slash proof sack that can be secured to many fixtures. I find it brings me peace of mind when leaving my passport, camera, laptop or other valuables in my hotel room. It’s also great for the beach! You can learn more about this super handy product by clicking here. If you have any questions or have recently travelled through the Copper Canyon and have any tips, please feel free to leave a comment below so that I can keep the site as up-to-date as possible. Happy travels! Hi Elia, thanks for the comment! Great site! Leaving Beautiful BC for Chihuahua in a week. Thanks for the compliment, John. I hope you have a wonderful trip! We are traveling on bicycles and we will be near Creel the end of February/early March. Are bicycles allowed on the trains? Thanks for all your hard work! The Chepe Regional doesn’t have any specific area for bicycles and they may not allow them on if the trains are full. The Chepe Express does have a dedicated luggage car so you may have better luck with that. I’d love to know how you fared with the bikes as I’ve received this question before and I currently don’t have a solid answer. I need help I have emailed the email address on the website 10 days ago to get tickets and i have not been able to get a response. I have tried calling with no luck i will be there in 3 weeks and would love to know i have reservations. Any suggestions? I’m sorry to hear about this inconvenience. March can be a busy time for El Chepe and it would be best to have those reservations in advance. If you haven’t already tried the numbers on my website, you can give them a try: 011 52 614 439 7212, or +52 1 614 439 7212. They also provide this phone number on the Chepe site: 01800 1224 373. I believe there are only 2 people working in the ticketing office at any given time so it can be difficult to get a hold of someone. You may have better luck in the mornings, between 8 and 10 am (MST) and avoid calling during lunch hours. Be persistent and continue to send those emails. Someone should get back to you eventually. Gosh I am not sure what I am missing, but will you please confirm the cost of a Tourist ticket between El Fuerte to Creel on the Chepe Regional? I am looking for round trip price in MXP. We are planning our visit in March. Thanks so much!! Hi Julie, thanks for the comment! Chepe doesn’t really sell round trip tickets for the Regional train, at least not with a discount like they do with the Chepe Express. Creel to El Fuerte, one-way, should cost 1,380 MXP for a Tourist Class ticket. This should also entitle you to get off at a couple of stops in between (maybe Bahuichivo and Divisadero!). Just be careful about planning because the Regional train doesn’t run every day. Your site has been very informative. We are close to booking our train tickets from Creel to El fuerte, your bus info and booking online has been very helpful. we are going in January. Thank you so much for the wonderful feedback, Bernadette! I’m so glad the site was helpful and I hope you have an excellent trip! And don’t forget, the Chepe Express schedule will be changing as of January 11th, 2019. I am planning to visit Copper Canyon in Feb 2019. Tentative schedule is board Chepe Express on 12th Feb at 7:30am… spend Tuesday in Divisadre – stay the night in Divisardro ( any economical hotel suggestions?) – Explore Canyon again on Wed & board a train in the afternoon/evening for El Fuerte & spend a night in El Fuerte – Explore El Fuerto on Thu & board a train to Los Mochis in the late afternoon/ evening -arrive in Los Mochis on Thu night & spend a nigh & spend 2 nights in Los Mochis…Board a train back to Creel on Saturday morning to arrive in creel on Saturday evening….. In order to cater to this iteneriary what can you suggest for train journet? what hotels do you suggest? please feel free to make suggestions to make this trip more worthwhile & economical…. Hi Viva! I’d be happy to make some suggestions to make your trip more economical! If you’re starting your journey in Creel then you can take a bus over to Divisadero, as it gives you more flexibility than the train and is a bit cheaper. I’d also suggest taking a bus between El Fuerte and Los Mochis to save money. Your current itinerary doesn’t quite line up with the train schedules (the Chepe can be very confusing!). Hopefully this link to the timetables can help you plan your itinerary. Please let me know if you have any specific questions once you’ve worked out the itinerary. Do the trains run everyday including Xmas Day & Boxing Day? That’s a great question, Les! I’m almost certain that the trains run on their regular schedules throughout the year, regardless of holidays. When you book your tickets the company should let you know for sure whether this is the case. Just remember, The Chepe Regional doesn’t run in the same direction every day, only the Chepe Express does that (until Jan. 11th, 2019, when the Express schedule will change). Also, keep in mind that Christmas is actually a very busy time in the Copper Canyon so be sure to book your hotels ahead of time. I find the best deals are at Booking.com. Are dogs allowed on the train, and in hotels? Hi Paula! As far as I know, dogs are, unfortunately, not permitted on EL Chepe. However, I’ve reached out to the company to find out for sure and I’m waiting for their reply. I’ll post it here as soon as I find out. Thanks a lot for these informations. Very helpful ! Hey! Thank you so much for your comment! Sounds interesting. 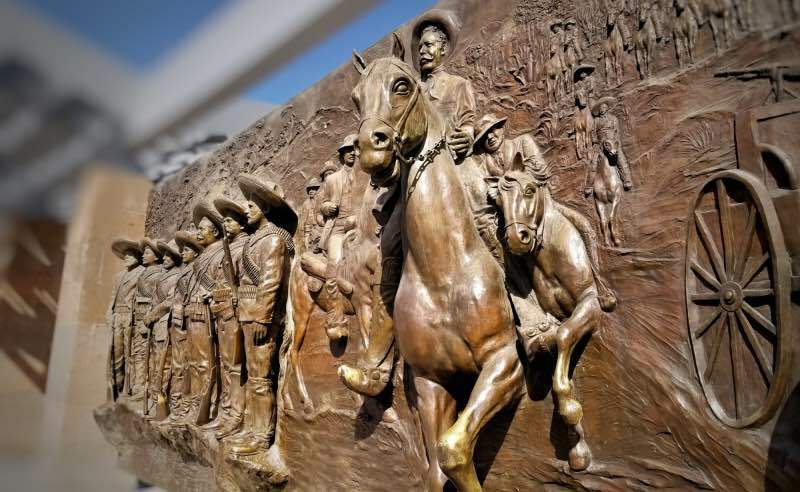 How to connect from El Paso? Thanks for your comment, Aaron! This is unbelievably informative but I’m still a bit confused. We are in Chihuahua tonight and want to take the Express train tomorrow disembarking at Divisadero for one night then going on to El Fuerte the following day. I see now that won’t work because we would have to be in Creel at 6AM rather than here in Chihuahua. My question is, do you know if we can buy our Express tickets here in Chihuahua tomorrow morning ( to board the following day in Divisadero to El Fuerte ) but go ahead and take the Regional to Divisadero tomorrow? We have already booked our room at the Posada Barrancas for tomorrow night. I realize you may not see this message but thank you either way. Awesome and informative site. I’m so sorry I wasn’t able to respond earlier. I hope everything worked out for you. If you read this and you feel like sharing your experience I’d love to hear it as it will certainly help me write future articles and help other readers plan their trip. Wow! This was nice and thorough. I’ve been thinking about doing it for years. BTW I found you through Travel Blogger Buzz.